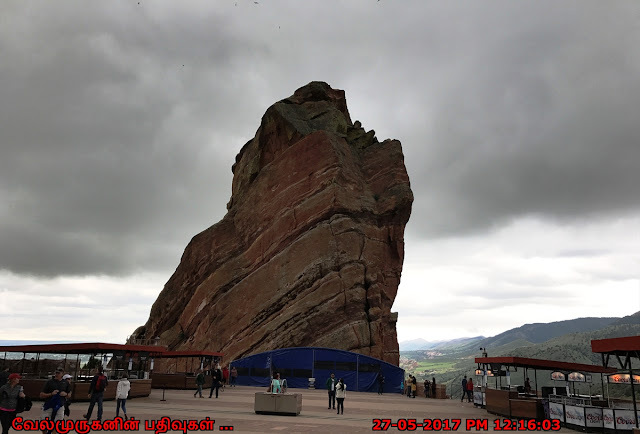 Red Rocks Amphitheater is a rock structure near Morrison, Colorado, 15 miles west of Denver, where concerts are given in the open-air amphitheatre. 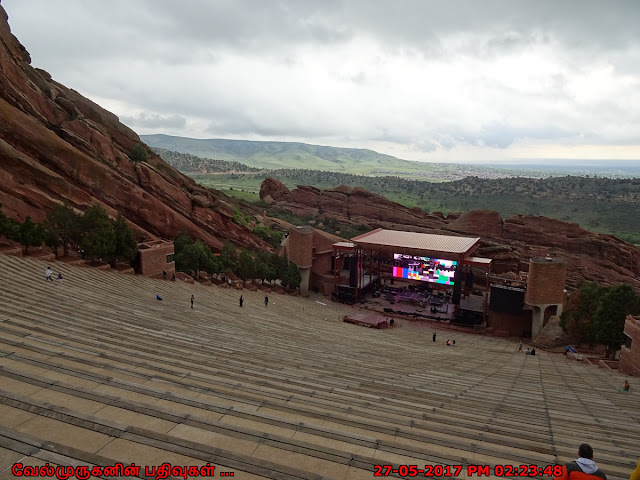 There is a large, tilted, disc-shaped rock behind the stage, a huge vertical rock angled outwards from stage right, several large outcrops angled outwards from stage left and a seating area for up to 9,525 people in between. 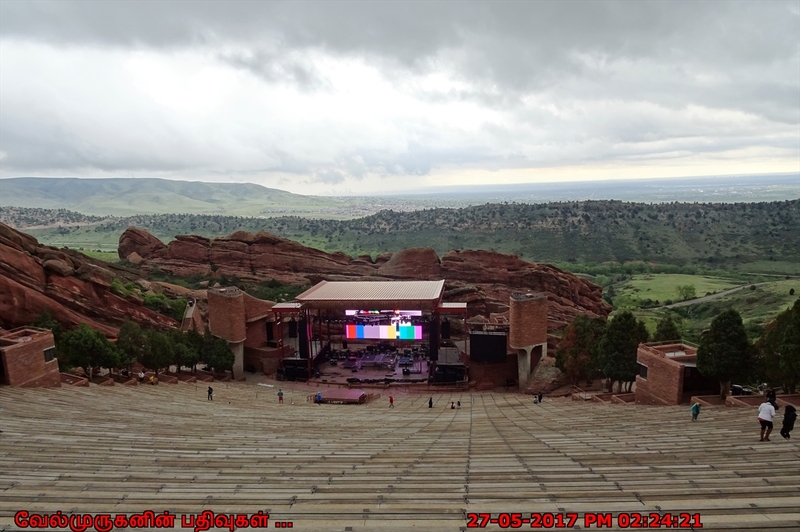 The amphitheater is owned and operated by the City and County of Denver, Colorado and is located in Red Rocks Park, part of the Denver Mountain Parks system. 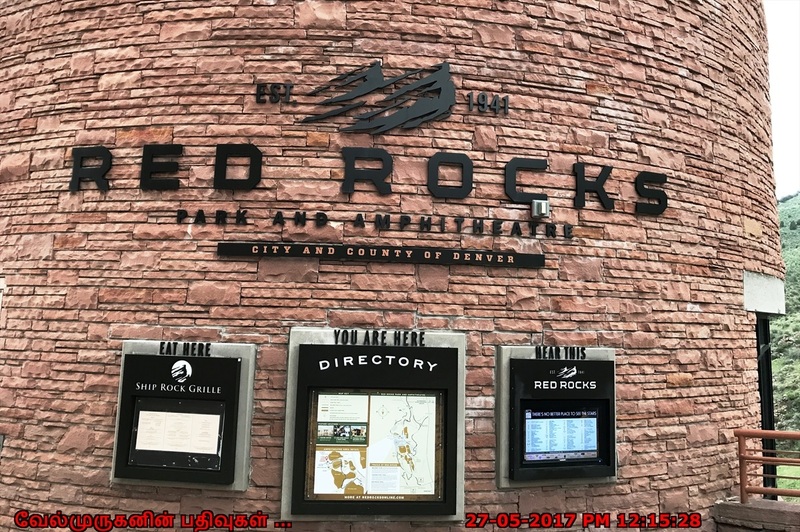 Red Rocks Park and Amphitheatre offers a variety of recreation options from guided tours, hiking, biking, shopping, dining and a summer concert series. 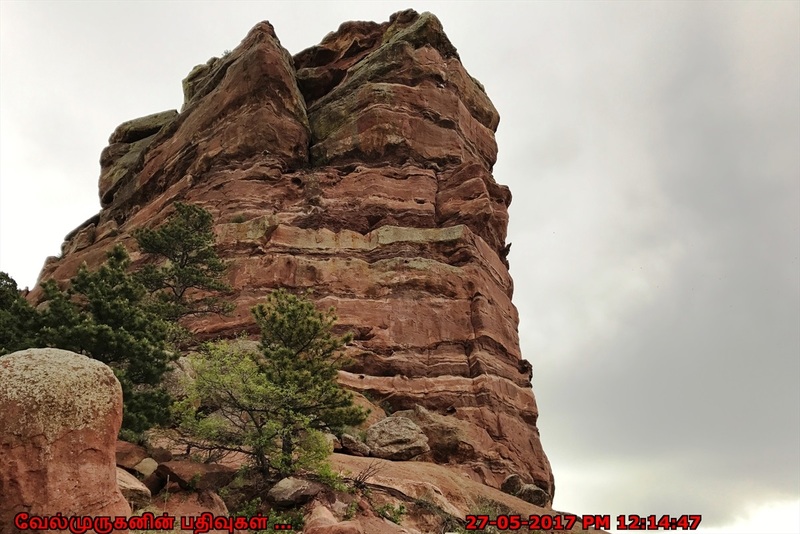 The Trading Post Trail is 1.4 miles in length, and goes through spectacular rock formations, valleys and a natural meadow. 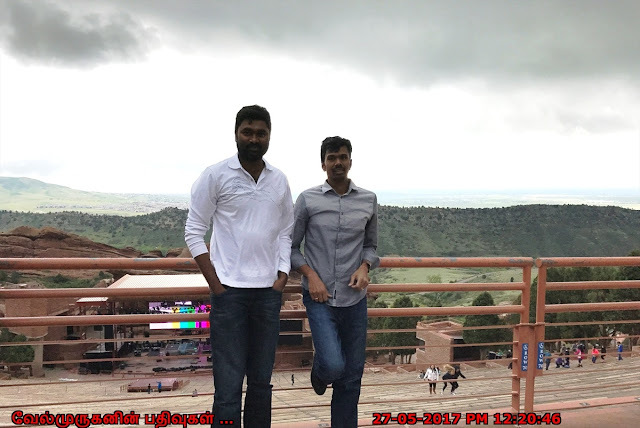 Some of the terrain is rough, so hiking boots/ shoes are recommended. 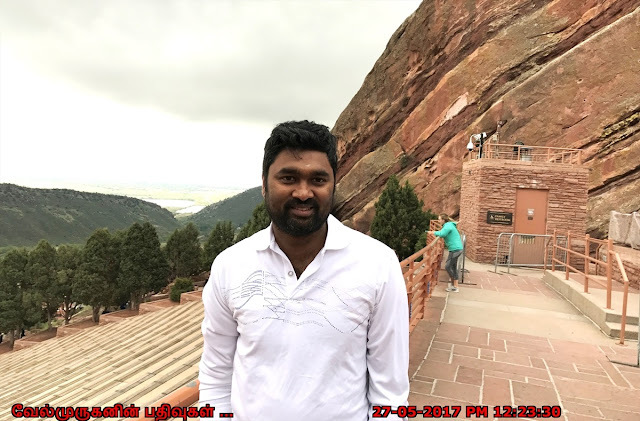 Also, The trail is 6,280 feet above sea level, So hikers should be prepared for adverse weather conditions as the weather can change very quickly. The Geologic Overlook Trail is a short, moderate trail located in the Northwest corner of the park. 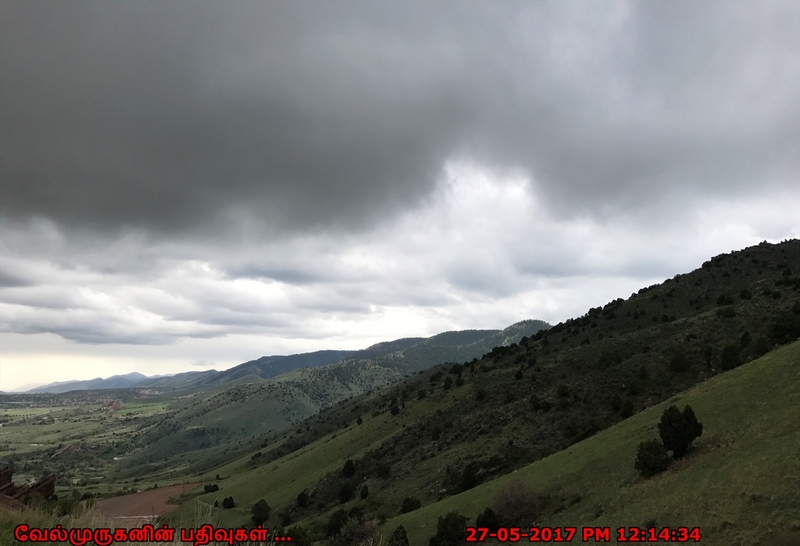 Take Plains View Road to the Geologic Marker & Picnic Shelter for a short hike leading to beautiful views. 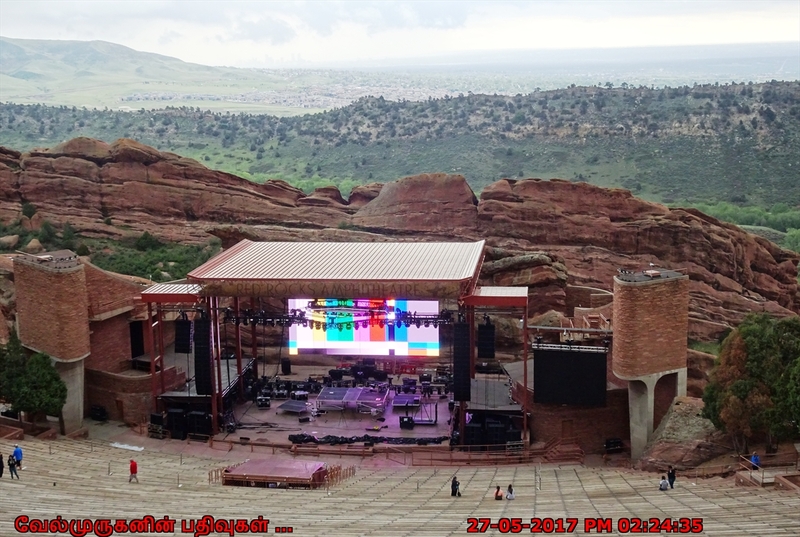 How To Reach: Red Rocks Amphitheater is located in Red Rocks Park near Morrison, Colorado. From Downtown, take I-70 west to exit 259, turn left at the bottom of the Morrison exit ramp, cruise on downhill 1.5 miles to the Red Rocks Park entrance. Coming from south Denver, take C-470 to the Morrison exit, turn west and follow the signs to the Park entrances. Here's a tip to avoid some traffic: you can also exit C-470 at Highway 285. Take it west to Highway 8 and then head north to the Amphitheatre! 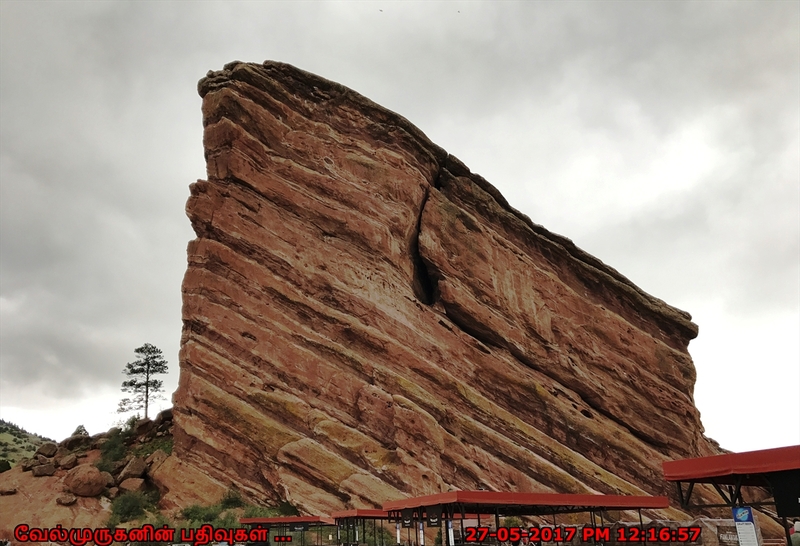 Red Rocks Park Hours : It is open daily from one hour before sunrise to one hour after sunset and is free of charge. In the event of a performance the Amphitheatre and Visitor Center will generally close to the public in the early afternoon hours.